In this year's Beer Issue, we told the story of Bold Missy Brewery, but we also highlighted six other venues where you might find the beer nerd in your life if you're looking for them. Here they are. "There were obviously a lot of breweries in town," says GoodRoad Ciderworks founder Brian Beauchemin. "We decided to do something different." GoodRoad, which opened its doors last St. Patrick's Day, specializes in dry ciders made from fresh-pressed juices — the dryer, the better. Beauchemin also shuns adding sugars or artificial sweeteners to his ciders, and 90 percent of the apples he uses are local, from Perry Lowe Orchards in Taylorsville. Currently, the cidery offers four single-varietal dry ciders. In much the way a varietal wine uses just one grape, these ciders use just one apple. But there are plenty more ciders to choose from. Flavors at GoodRoad include hops, ginger, blueberry, peach and a general-blend cider. "Technically we are a winery," Beauchemin says, "because we make cider, which is a fruit wine, and mead, which is honey wine." Ah, mead. For many, it is a brew sloshing around in Thor's flagon at Asgard. But the honeyed elixir is growing in popularity in Charlotte. "Once we decided to do ciders, I felt the meads were a natural compliment," Beauchemin says, citing the compatibility between apple and honey flavors. Right now, one of the more popular meads is one made with avocado honey. "People ask if it's going to taste funky or like guacamole," Beauchemin says, laughing. "It gives the mead a unique flavor profile. It has the sweetness of honey along with some earthiness." For the more adventurous imbibers, there are even cysers, which blend cider and mead, on tap. 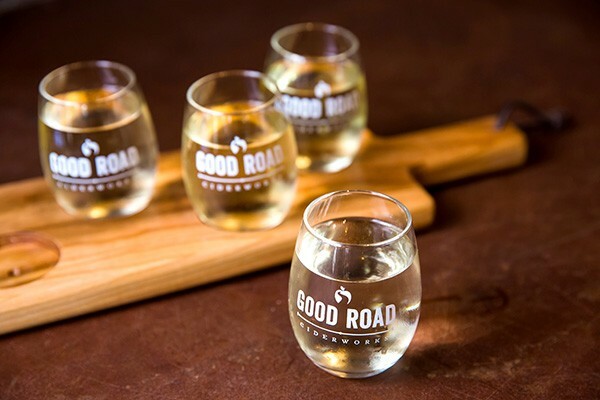 GoodRoad boasts a full tasting room, two outdoor patios and a mezzanine. A private event room is right off the taproom, set off by two large barn doors that can swing open to allow people to flow through the facility. "I grew up in Vermont surrounded by barns and apple orchards," says Beauchemin, who has lived in Charlotte since 1990. "We've tried to add some of that New England feel to the décor." 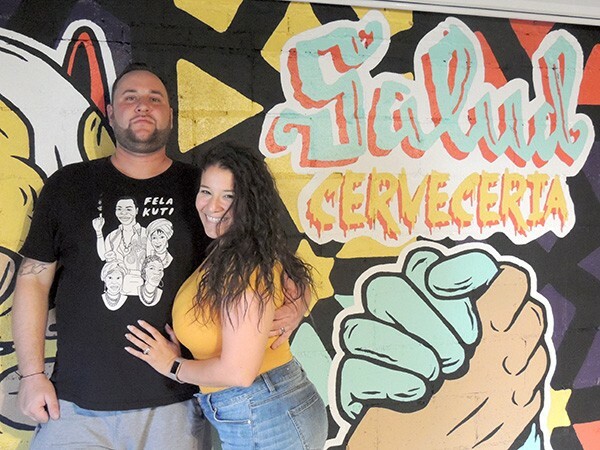 Sunday 12 p.m.-7 p. m.
When Jason Scott Glunt and his wife, Dairelyn, opened Salud Beer Shop in NoDa in March 2012, the plan didn't involved expanding past their humble little beer shop with four taps. But it wasn't long before their success led to growth. In 2015, they opened Fud @ Salud in the building next door, and eventually began brewing beer in a small one-barrel system. Opportunity presented itself again when UpStage closed in the space above them, and the couple decided that if they were going to expand out, they might as well expand up. In June, the Glunts opened Salud Cerveceria, a brewery, tap room and coffee shop. The space is a step up from the beer shop below, figuratively and literally. "They are two very different places and vibes and that's what we wanted," Glunt says from his seat in the beer shop downstairs. "This is a basement feel, laid back. Upstairs is a little more fancy." In Cerveceria, the Glunts keep two taps dedicated to coffee and tea from Trade & Lore, one tap for cider and another for house soda. The other 10 are reserved for beer brewed in-house. Or, at least that's the idea. Demand has been outweighing supply in the brewery's first few months. "We're trying to keep up," Glunt says. "Right now it's been a struggle. It's a good thing." The team has been brewing a lot of fruit-based beers, inspired by Dairelyn's Dominican heritage. The Chinola (Spanish for passionfruit) has been their No. 1 seller. They've recently begun a sour program they hope to have ready by mid-December. Despite the high demand, Glunt plans to keep all his beer in house. "We want to sell our beer here," Glunt says. "Fighting with the huge breweries here and trying to get a tap at Mac's Speed Shop, that's not our business model. We just can't do that, we don't have the longing to do that. It's a fruitless venture for us to go that route." 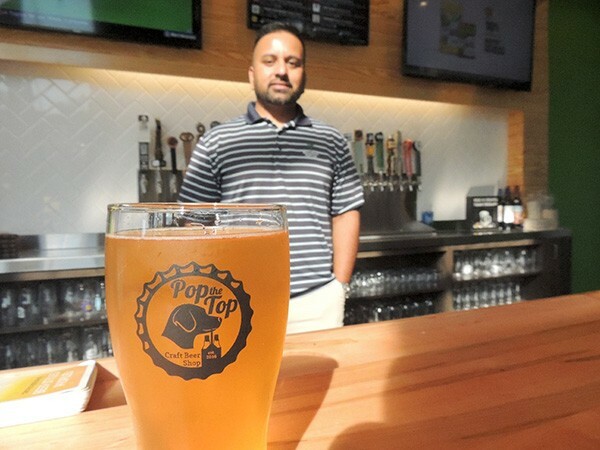 Monday-Thursday 7 a.m.– 10 p.m.
Sunday 11 a.m.-7 p. m.
Ketan Patel was still working as a project manager for Bank of America when he started doing research for his new career as owner of the Pop the Top Craft Beer Shop in South End. Patel just didn't know it yet. "I think that job forced me to drink a little bit more, so it caused a little bit of studying for the future," Petan says, laughing. "It was definitely a dramatic shift." 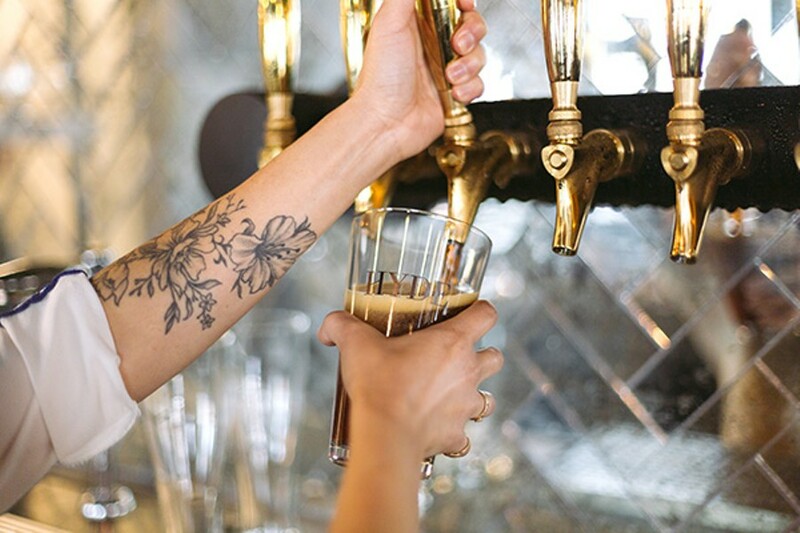 Patel and his wife, Kathy, opened the beer shop and tap room in a cozy spot tucked into the Camden Gallery Apartments about a block from the East/West Blue Line station on West Boulevard in June 2017. The brew drinkers of South End have welcomed him with open arms. "South End's been very supportive. Our first three months projection, we blew those projections out of the water, so we're hoping to continue that trend, especially as it gets cooler," Patel says. As temperatures cool, he says, customers will be moving in from the wrap-around patio to the livingroom-style set-up on the inside of Pop the Top, where the coffee table turns into a foosball table, just like that. There, folks will be able to continue enjoying beers from all around the region. Patel estimates that about 90 percent of the beer in his shop is brewed in the Carolinas, with a few exceptions coming out of places like Hershey, Pennsylvania, or San Diego, California. A large map above the glass refrigerator doors marks spots around North and South Carolina where he gets his supply. "My mission is to get people more exposed to what we have, not just within Charlotte, but all throughout North Carolina and South Carolina — because sometimes South Carolina gets lost in the shuffle," Patel says. "We have become a little bit spoiled in Charlotte," he adds, "because we do have a lot of craft breweries, but there are craft breweries in Greensboro, in Clayton, Raleigh, Wilmington, Boone." Besides the homey atmosphere, complete with comfy-cushioned seats inside the shop and a wrap-around patio outside, Pop the Top is also canine-friendly, with a bevy of doggie toys waiting to get chewed on by any pup that comes along. It's all a part of Patel's dedication to customer service, no matter what breed the customer is. "We pride ourselves on customer service to the 1,000th degree," Patel says. "In some industries, customer service has taken a back seat to the product, but we're here for the customer." — R.P. Sunday 10 a.m.-7 p. m.
I started home-brewing a little over 10 years ago, immersing myself in the art, science and nuances of the craft" Dan Hyde says. After friends and family quaffed and praised his brew, the native of Suffolk County, England started thinking about going commercial with his beer. That chain of events culminated in the opening of Hyde Brewing and The Suffolk Punch in South End last July. 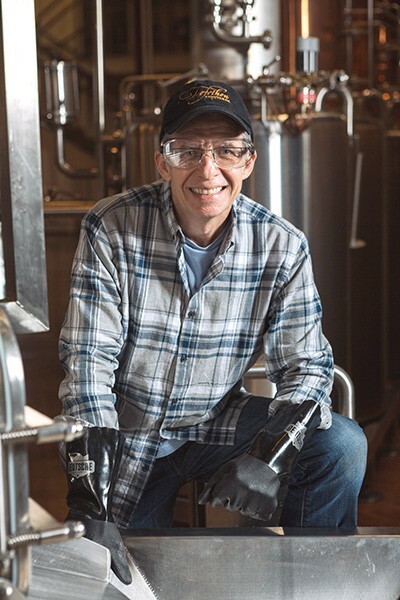 Hyde is part owner and chief brewing officer of the twin establishments, and true to its founder's roots, the brewery features plenty of English-style beer on tap. Hyde adds they've recently brewed German and American styles and have a Belgian on deck. "At the end of the day, we just want to brew good beer," says Hyde, "and good beer certainly isn't limited to one specific style." But you can't get that beer at the brewery. Hyde Brewing and The Suffolk Punch share the same address, but they serve different purposes. Hyde Brewing is not open to the public. Instead, it focuses on B2B brewing and perfecting its namesake beverage. That brew can be sampled at The Suffolk Punch, which which takes the step beyond a mere tasting room to full-on dining establishment. "We don't just serve Hyde Brewing's beer [there]," says Hyde, noting that The Suffolk Punch also carries wine, cocktails and a rotating assortment of beers from North Carolina and beyond. With a coffee bar and a kitchen focused on sustainable and ethical ingredients from local and regional family farms, The Suffolk Punch could be the go-to eatery for both the casual and fine dining crowds. The restaurant's coolness quotient is upped considerably by its enchanted English forest vibe. Exposed brick, warm lighting and rustic, handcrafted leather booths are all well and good, but they play second fiddle to an explosion of plant life sufficient to cloak an entire troupe of woodland elves. "We get quite a few compliments on our design and atmosphere," Hyde says, "but the coolest thing about Suffolk Punch and Hyde Brewing is the people. There's a lot of passion and a creativity between these walls, and that fosters excellent collaboration between the brewery, the coffee bar and the kitchen." — P.M.
What's so great about NoDa to Ben Dolphens, one of three owners of the forthcoming Divine Barrel Brewing? "Brewing is comprised of lots of science, which we love, but it is also art in the truest sense of the word," Dolphens says. "With NoDa being the arts district of Charlotte, we just felt it was the perfect fit for who we are and what we're trying to do. NoDa has changed so much in the past 10 years and we love what it has become. We can't wait to be a part of it." Be that as it may, Dolphens, a graduate of Appalachian State University, along with his partners Scott Davis (who "currently works for Wells Fargo and does things with numbers and money that boggle the mind," according to Dolphens) and Gavin Toth, a veteran of the restaurant biz, are looking forward to opening the doors of the new brewery in early 2018. 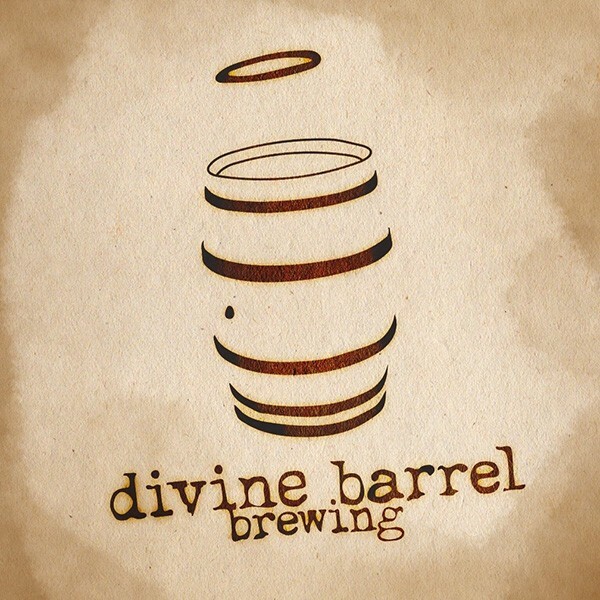 And what will be so divine about Divine Barrel Brewing? 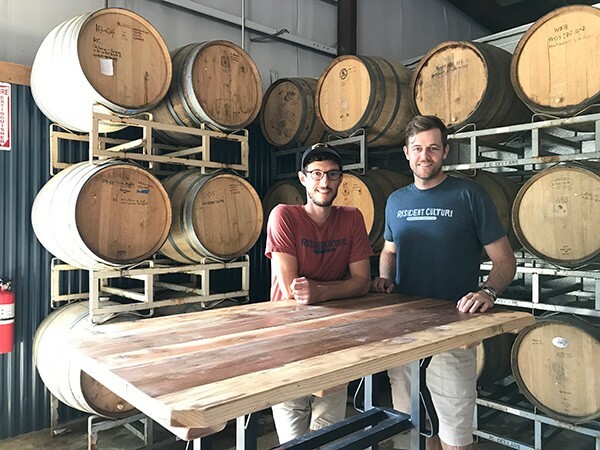 "Our long-term focus is on wood fermentation and barrel-aging," Dolphens says. "However, it's extremely difficult to come out of the gates with a large number of barrel-aged beers, so that is something that will take some time to get rolling. We have capacity for around 100 oak barrels and we plan on getting beer into those as quickly as we can. "As much as we love wilds and sours, those are just a small subset of all the amazing beer that is being brewed today," he adds. "We are going to brew a ton of other beers, in addition to what spends time in oak, and plan to have an ever-changing lineup of beers in our taproom. "One, in particular, that we look forward to sharing is our Gratzer. It's an old-world style that originated in Poland and is just kind of a weird and contradictory little beer. We'll have two 30-barrel foeders, one of which will be used for Brett beers, and we plan to do a foeder-aged Brett saison. We also love hops, so you can expect a number of IPAs, including some dank and resinous West Coast varieties." Where: 3701 N. Davidson St. Turns out the old Central Avenue property in Phillip McLamb's family was the perfect spot for a brewery. McLamb, who worked in real estate finance before deciding to convert an old warehouse that once housed his dad's printing business into a beer-making hotspot, tapped head brewer Chris Tropeano to move across the country and team up to open Resident Culture. "I grew up in this building," McLamb says. "I watched my father support his family through his business on Central Avenue." And McLamb wanted to keep things in the family. His wife, Amanda, handles the marketing duties. the whole vibe of the place is famliial. Resident Culture, which opened Labor Day weekend, also brings a couple of new things to the Charlotte brewing world: 1) beer tapped straight from the tank, and 2) a coolship that captures wild yeast in the air to make spontaneously fermented beer. 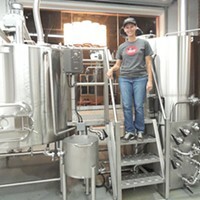 "It's the first in Charlotte and will allow us to make truly local beers using our local yeast," says Tropeano, who goes by Tropes. Tropes and the McLambs say there isn't a better neighborhood for a brewery than Plaza Midwood. "This area of Central Avenue is home and that is definitely what I love the most," Phillip McLamb says. "I love seeing our neighborhood come out with their bikes or walk over to enjoy great beer. The people of Plaza Midwood and the folks who live all around us have helped create our sense of purpose as a community space to gather." 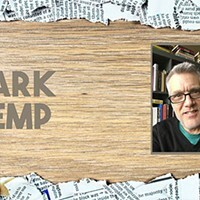 And gathering around beers just makes it that much sweeter, says Tropes, who grew up in New Jersey, graduated from Wake Forest University, and then moved to Austin, Texas, only to come back to the Carolinas because he likes it here so much. "I think there's a super well-informed beer-drinking community here that has great taste and knows great beer and loves to support local breweries," Tropes says. Especially in Plaza Midwood. "It's a very open and accepting community where everyone is welcome and unique and creative people are embraced." So what kinds of beers do Plaza Midwoodites like the best? "So far, I'd say our hoppy beers are a stand-out because we're doing a wide breadth of styles, both east and west, hazy and bright," Tropes says. "We've used seven different types of yeast on our hoppy beers and a number of different hops. Over the next year I think people should be excited for can releases, crowlers, sour bottle releases and our first spontaneous batches this winter." — M.K.